Join us along the Northern Camino in the Basque Country. While strolling coastal footpaths, we enjoy views of the sea to our right and the foothills of the Pyrenees to our left! Over 1,000 years ago, the original way to Santiago wove along the Northern Coast, passing through the fabled Basque Country. Come with us and discover this mysterious corner of the Iberian Peninsula known for its proud people and marked contrasts. A culture that has always been tied to the land, we get a closer look of the Basques as we stroll their lush rolling hills, wander their imposing mountains, and skirt the tides of their rocky coves. We'll get a glimpse of sophisticated cosmopolitan centers and centuries-removed hamlets. Taste their full-flavored cheeses, freshly caught seafood, and crisp subtle wine and you´ll soon feel like the King of Navarre! Your two bilingual guides that accompany the tour are either Spanish or live in Spain year round. This is our home and we love to share it with you! All your meals (B,L,D) are included, so you only need to worry about enjoying the trail! Weather permitting; our gourmet picnics showcase the freshest of local flavors. Charming restored manor homes and 3-4 star hotels that offer the best in hospitality, comfort, and location. On all our trips, your walk is accompanied by a support van and multiple shorter walking options are available on a daily basis, including the opportunity of taking a day off for a rest! We can accommodate your walking needs and desires. Expect to have a wonderful time! We've designed each trip to enjoy the stunning beauty of the Spanish landscape, while giving you a true sense of the soul and magic of these exciting people and their culture. We love to share this magnificent country and want you to feel a part of it - for us it is more than just a trip, it is our home. In the afternoon, we meet our group in Bilbao, the one-time industrial powerhouse which is currently undergoing its own Renaissance. After introductions, we hop in the van and head for the pleasant fishing village of Hondarribia, where we stretch our legs and take our first steps on the Northern Camino de Santiago with a short climb to the Sanctuary of Guadalupe. We finish our day in the old quarter of town, where medieval walls have protected the villa for centuries. Starting from Guadalupe, the yellow arrows take us a bit higher as we cross along the mountain of Jaizkibel enjoying the views of the beaches and sea below! After strolling the ridge, we work our way down to the port of Pasajes de San Juan, decorated with small fishing boats of another time. After a zurito (small glass of beer), we return to Hondarribia, where we finish the evening with a fine meal of Basque cuisine. This morning, we return to Pasajes de San Juan and cross over to San Pedro on the other side of the port like the pilgrims did a thousand years ago - via boat! We then work our way past large caseríos, old stone Basque farm houses, and are soon greeted by the stylish resort town of San Sebastián, a place that has long been popular with the Spanish bourgeois. Here the beauty of La Concha beach makes it a wonderful place for an afternoon stroll. With boots on, we leave San Sebastián to ascend Monte Igeldo and stop to enjoy the views of the bay below. The rocky coast of the Basque Country has us going up and down hills and through small hamlets. The many flocks of sheep remind us that the Basques are not just men of the sea, but also pretty good shepherds! With the sea to our right keeping us company, we quickly make our way to the fishing port of Orio. Here we regroup and return for another evening in San Sebastián. 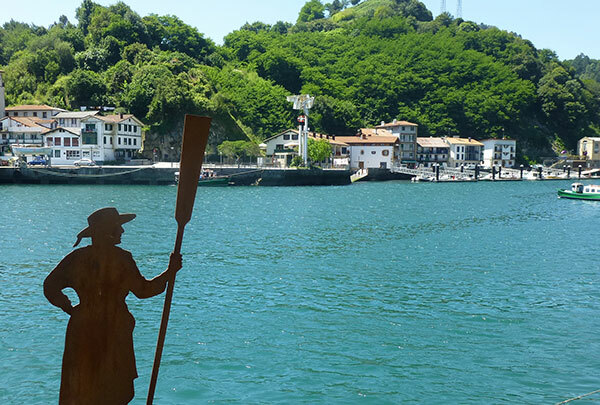 Returning to Orio, we pass through Zarautz and continue along the seaside walkway to Getaria, whose famous sailing son, Juan Sebastián Elcano, was the first to sail around the world. 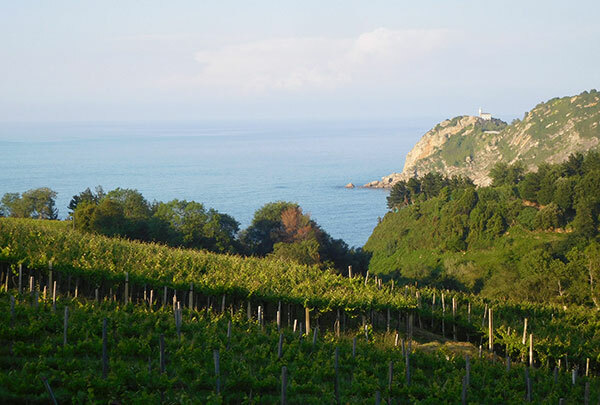 We follow the Northern Camino de Santiago passing the local vineyards of txakoli, the local white wine, until we reach the village of Zumaia, a Basque port famous for its whaling and now its shipbuilding. Our walk quickly takes us to the coast where we alternate between cliffside paths, rolling green farmland, and views of the blue sea. Greet a local with Kaixo - Basque for hello - and watch them warm right up! 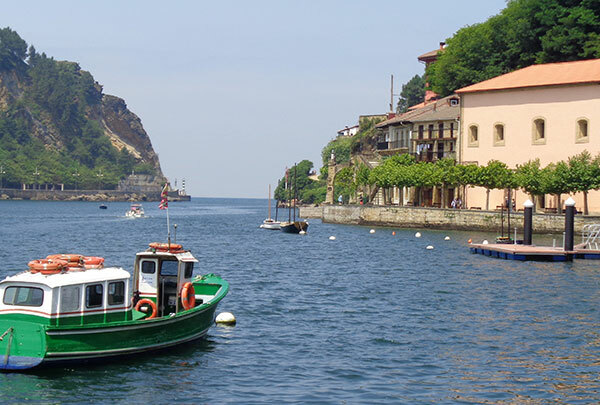 Our day on the trail ends in Deba, where after a dip in the Cantabrian Sea, we get our appetites ready for a visit to a typical Basque meal that you won't forget! This morning, we head inland to visit the Basilica of Saint Ignacio of Loyola nestled in the mountains of the Basque Country. Here, we visit the birthplace of the founder of the Society of Jesus, and learn about his life and his impact on the world! After lunch, we return to the yellow arrows of the Camino and get some KMs in before finishing up the day. After a lighter day in the boots, we finish off our Camino de Santiago along the Northern Coast with a hike into Guernica, a name made famous around the world by Pablo Picasso's dramatic anti-war painting of the bombing of the town during the Spanish Civil War. Today we will pass through small hamlets and their caserios (large farm houses) and enjoy views of the Balcony of Biscay! In the Middle Ages, the Lords of Biscay would meet in Guernica under a giant oak tree to celebrate their fueros - self-governing laws that granted the Basques their autonomous rule. Today, we visit the Biscayan Assembly House and the tree of Guernica to understand the importance that these meetings had on current political philosophies. Afterwards, we make our way to Bilbao following the coast and visiting the 10th century hermitage of San Juan de Gaztelugatxe, recently made famous by the 21st century TV series Game of Thrones! Our greatest resource! We know Spain, because it is our home. All of our guides are experienced professionals that are either Spanish or live in Spain year round – no hired out summer help! When specified, we will be joined by local art historians, who will bring the monuments and cities to life! Food speaks volumes about a culture and we love to eat! During our walk days, when possible, we prepare gourmet picnics using the freshest of local ingredients and selecting the tastiest recipes of the region. All breakfast, lunches and dinners are included as per the itinerary, where we encourage you to try to local cuisine. We are proud to cater to vegetarians and those with food allergies – milk, egg, wheat, etc... as well! Fresco Tours selects a combination of 3-4 star hotels, restored country manors and B&B's that offer the best in hospitality, comfort and location. All rooms have their own bathrooms. Tour prices are based on double occupancy. Fresco Tours are in small groups to ensure that you receive the individual attention that you deserve. We want to be able to treat each of our clients with a personal touch and we limit the groups to a maximum of 15 participants. Your walks will be accompanied by a support vehicle that will be there to provide you with assistance when the route permits. The possibility of shorter routes and pick-up options will be explained on a daily basis. All ground transportation between the designated starting and finishing point of your Fresco Tour is provided. We will help facilitate information for your travel arrangements prior to and after the tour start and finish. Your luggage will be transported between hotels. You do the walking, we'll do the lifting! We will help with your travel arrangements prior to and after the tour start and finish of your Fresco Tour, including help with hotel reservations and train tickets. Wine tastings, garden tours, concerts, etc. as outlined in the itinerary. 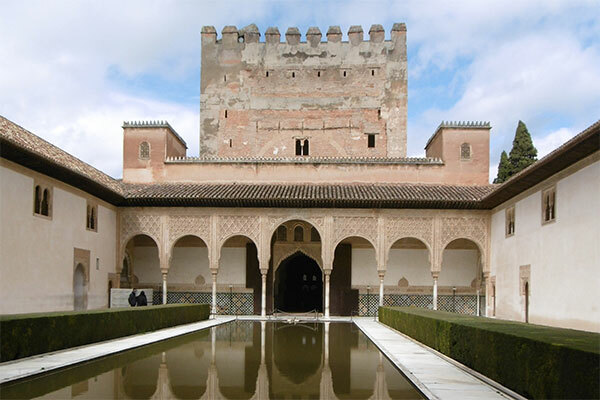 Prior to / After your Fresco Tour: Should your vacation to Spain be for more than a few days prior to or after your Fresco Tour, perhaps you would be interested in a Spain-taineous Custom Tour and personalized private itinerary. Let us know and we'll create an itinerary especially in tune with your needs and desires. What is the weather like on the Basque in the Glory Tour? The Camino del Norte covers over 790 KMs of Northern Spain and therefore has very different weather conditions depending on the region. 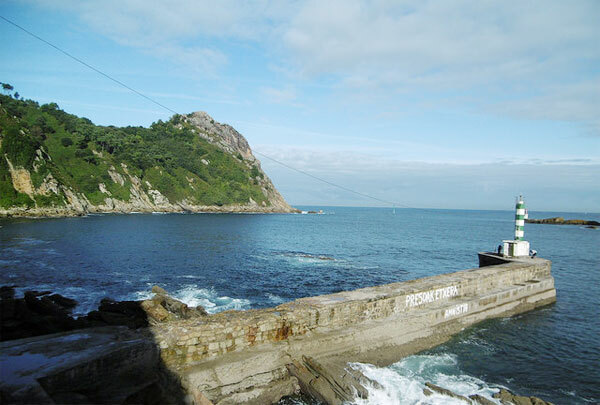 Fresco Tours Basque in the Glory Tour covers a portion of the Camino del Norte. Here we enjoy a more temperate climate than other parts of the Camino de Santiago and in July and August the heat is not overwhelming. For current and average monthly temperatures of Bilbao, please click here. What is a typical day like on the Basque in the Glory Tour? After breakfast, we lace up and get the blood going with a walk for a couple hours, where we will do a check point to make sure that everything is OK. You then continue along the trail for another 1-2 hours where you will come across a complete gourmet picnic prepared with the all the freshest local ingredients. On some days, we continue for 1-2 hours more after lunch to burn off dessert. In the afternoon, we go to our hotels, where we take a shower, siesta and just relax! We finish our day with a glass of tinto and a feast of the local gastronomy. We then retire for the night and get ready to do it again! 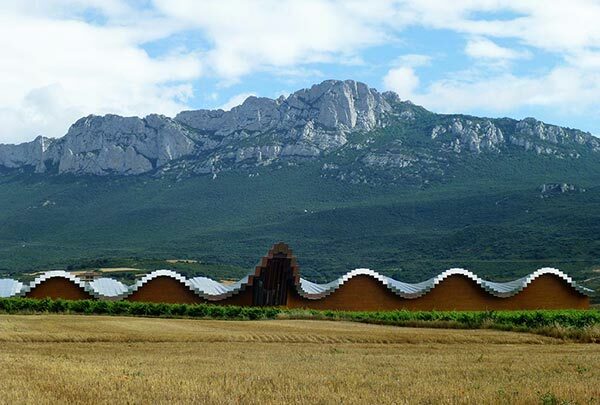 On some afternoons, we have planned excursions, such as a visit to a winery or perhaps a massage! Does the group stop for breaks on the Basque in the Glory Tour? 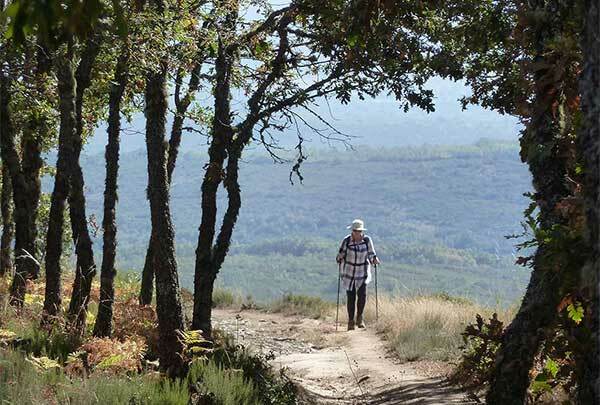 The great thing about the Camino is that it is very well-marked and we encourage people to walk at a pace that is comfortable for them - this is not a race! We want you to enjoy the route and we also like to stop with our clients for a coffee or cerveza along the way and take everything in! What is the terrain like on the Basque in the Glory Tour? In the Basque country, the region where we walk, the terrain is green rolling hills - there are neither steep climbs nor treacherous descents. The trail itself is a combination of very well maintained compact dirt and stone footpaths with some impressive views of the coast. What is the change in elevation on the Basque in the Glory Tour? We will be walking from Hondarribia to Guernica. For a detailed map of the distances between towns along the Basque in the Glory trail and their respective altitudes, please click here. 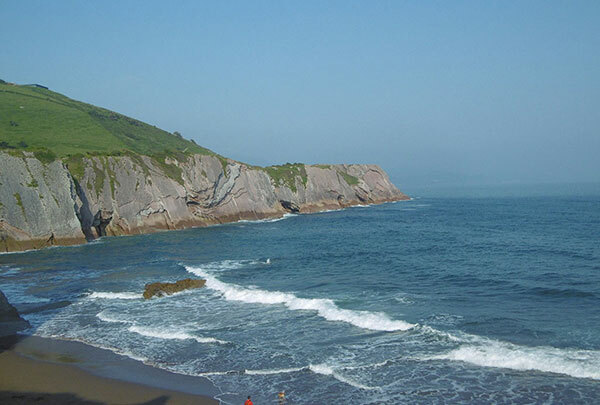 How many kilometers are walked each day on the Basque in the Glory Tour? The amount of KMs scheduled for each day varies from 5 KMs to 20 KMs. 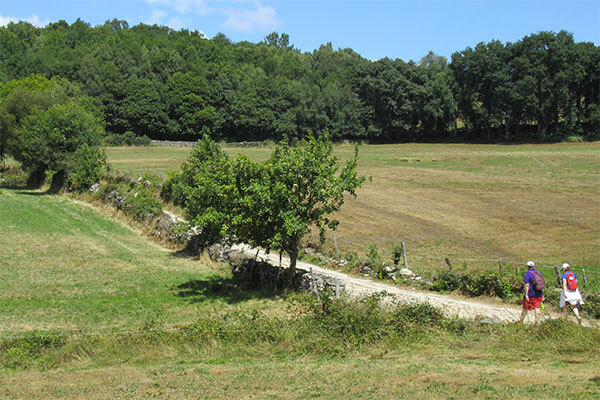 We have designed this tour to allow the possibility to walk a portion of the Camino del Norte. However, the walks are accompanied by a support vehicle and options for less (or more!) KMs are possible on a daily basis. We can tailor the walk to suit your needs! How can we sleep in the same hotel for 2 nights and still walk approximately 70 KMs? Since the distances that we walk during the day on the Basque in the Glory Tour can be covered quickly in the van, we take advantage of this and stay in the same hotel for 2 nights on multiple occasions. Our walk always starts at the point where we finished the previous day to maintain our continuity along the trail. We believe that the time (and energy) saved packing and unpacking everyday makes these shuttles a great convenience for everyone. Will I have access to WiFi? Yes, but you will be walking in some rural parts of Spain so the service may be a bit difficult or slow in certain locations. Nonetheless, many cafes along the way also offer Wi-Fi so you'll have several opportunities to be online. Finally, remember that one of the greatest joys of the trail is cultivating the ability to disconnect and enjoy your immediate surroundings! How do I get to the Basque in the Glory starting point? Bilbao (Spain) is the official starting point of the Basque in the Glory tour and can be reached via plane, train, or bus. Bilbao International Airport has service throughout Europe. For those looking to fly into Bilbao, please see the following link for all airports serviced. Traveling from Madrid, one can choose between the RENFE or the bus (ALSA). If you need assistance with these travel arrangements, we will be happy to help. How do I get from Bilbao to Madrid and other cities? There are now RENFE trains that will get you from Bilbao to Madrid in less than 7 hours. While routes and availability may vary upon time of booking, click here for a sample train schedule. If you are looking to fly, there are excellent internal flights that fly Bilbao to Madrid. For a complete list of companies that service the Bilbao airport, please click here. >Can you help with purchasing online train tickets on the RENFE site? The RENFE website can be a bit temperamental and is not very user friendly. However, all is not lost! We would be happy to have our local travel agent assist in making those arrangements for you. Keep in mind that train tickets cannot be purchased until 60 days prior to departure. Routes and availability are subject to vary based on maintenance needs. How do I get from the Bilbao Airport to the City Centre? From the airport, you can take Bizkai Bus #3247, which connects the airport with the center of town. There are buses every 30 minutes (from 6:20am to 00:00am). For complete details, please click here. The national organization of airports in Spain (AENA) has a great website that explains how to get to and from the major city for your airport of choice. It also has information regarding the routes serviced, the corresponding airlines, terminal information, and much more. You may have to re-click the "English" tab at the top once you have chosen your airport. What type of boots do I need for the Basque in the Glory Tour? Footwear is a very personal question - depending on how active you are and how much support you will need. Since we will be walking on a daily basis on the Basque in the Glory tour, I believe that comfort is key - you do not want to get blisters. You probably won't need a full high boot that covers your ankle (unless you need this support), but rather light trail walkers or even running shoes if you are used to walking. In the spring, there may be mud and water along the trail, so keep that in mind. Most important: Make sure that they are well broken in! What sort of conditioning do I need to undertake the Basque in the Glory tour? We encourage you to walk before and be prepared for your own enjoyment. However, this is your vacation and not boot camp! During your walk, one of the two guides will be on the trail with the group to keep an eye that all is well. Also, we have planned check points along the way with our support van to make sure you have plenty of water, if you need a change of shoes, or just feel like taking a break. In most cases, you will see the van at a minimum every couple of hours. How do I purchase travel insurance? If you are interested in travel insurance, we like Squaremouth.com, which allows you to compare various policies across the top Insurance Providers. Visit our personalized Squaremouth for Fresco Tours Clients page, where we have taken the time to wade through policies that don't fit your needs (such as immigrant travel, golfing or and other specialized trips, etc.) to make your selection process easier. In addition, we encourage you to check out TravelInsuranceReview.net, which explains the different insurance policy options in simplified lingo and provides editorial reviews of the insurance companies in terms of "The Good, The Drawbacks & The Bottom Line". Where do Fresco Tour clients come from? We are very fortunate to have had clients join us from around the world giving us a wonderful mix of diversity. The internet allows us access to the world, and since 2006 we have had travelers from the USA, Canada, Puerto Rico, Bermuda, Panama, Mexico, Venezuela, Peru, the United Kingdom (England & Scotland), Ireland, Denmark, Finland, Norway, Spain, Australia, New Zealand, Hong Kong, Japan, Korea, China, Singapore, India, South Africa, Namibia and even Egypt! It truly is a small world after all! 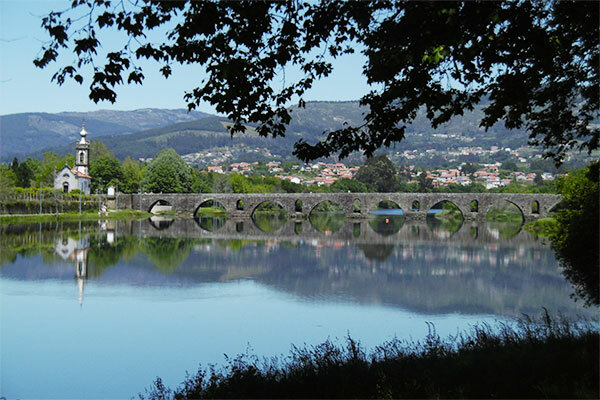 Prefer A Self-Guided Camino Tour? 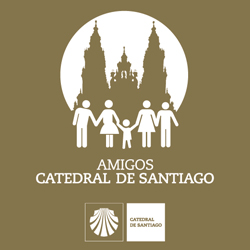 We also provide independent self-walk journeys along the Camino de Santiago. Try our A Fresco Start series, a more economical and adventurous way to experience the Camino Frances and Camino Portugués!